Just wanted to thank you again for the great guns. I have had the kids out several times and they love the use of them. I also love the new gun you sent me, and here is the prof! 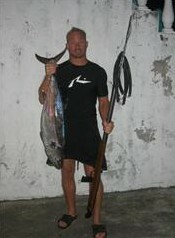 Thanks again for the wonderful speargun, X-mas won't be without fish this year! 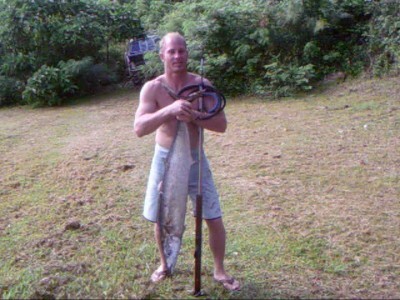 Brought in this nice Wahoo today with one of you finest hybrids. Keep up the good work! Happy Holidays from the Marianna's.